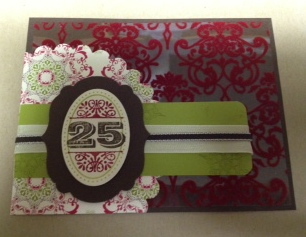 of the flocked design and the richness that it gives the card. This card glimmers without the use of glitter. It's true. Another fabulous card Denise! Gorgeous work!